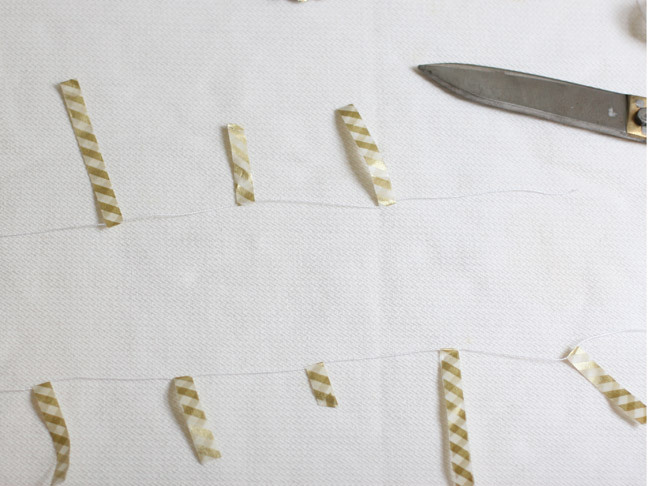 Garlands instantly transform any space into a fun and festive party. 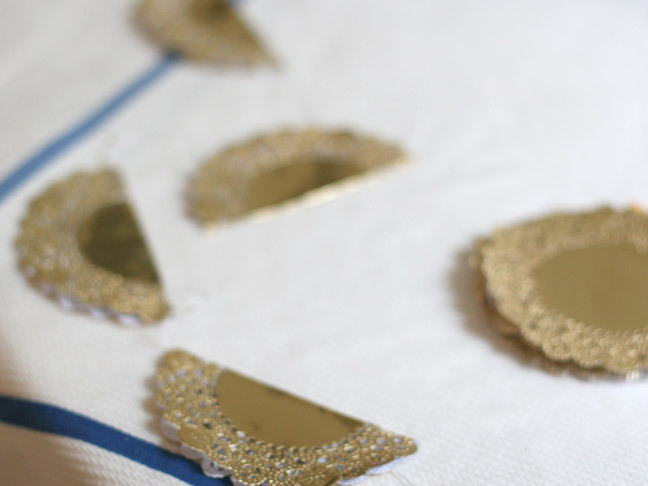 This tutorial instructs you on making three really simple metallic garlands to adorn your doorways, fireplaces, trees or windows. 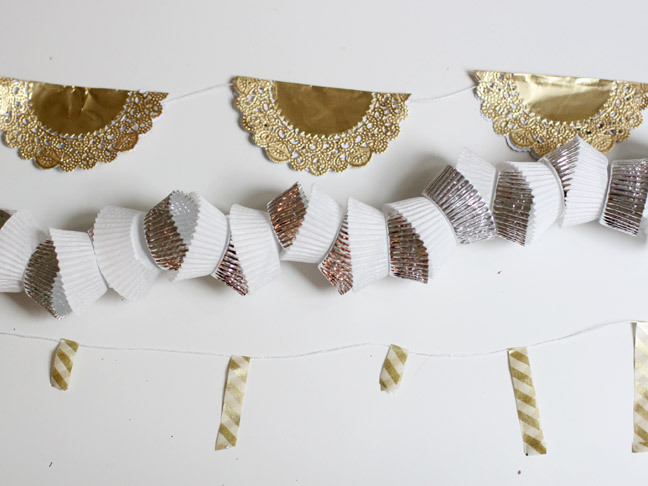 With metallics being a traditional New Years theme (and being so 'in' right now), we were naturally drawn to mixing some metallics elements into our New Years garlands. 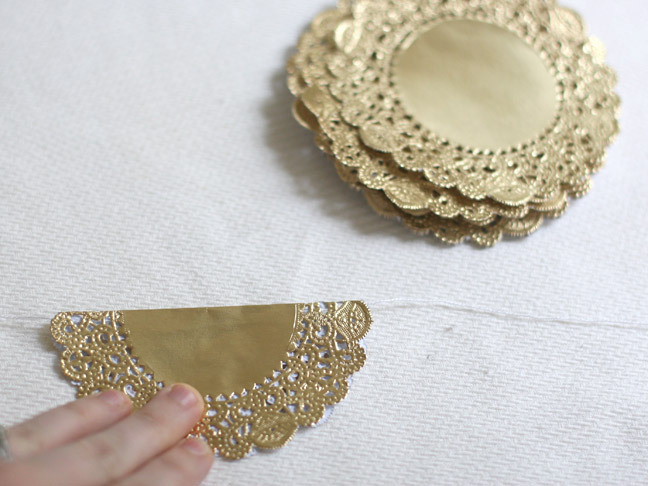 These touches of festivity will really liven up your party-or just home-for New Years! First we'll make the banner made with . I had some pretty striped metallic tape from Kawaii Goods that I used, but you can use whatever you'd like. 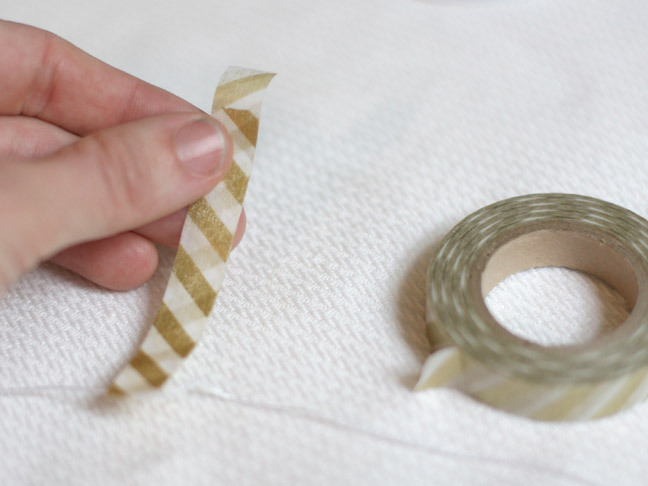 It's as simple as cutting the tape into varying sizes and the rolding them in half with the string in the middle to them to make long rectangles. You want to space them about 2 inches apart and differ the lengths a bit. Next we'll make the doilie garland. Turn one doilie over to the wrong side and place the string down the middle. Dab a little dot of glue along the string in the middle and another dab closer to the edge. Fold the doilie over and repeat with a second doilie. Again, space doilies about 2 inches apart. Be careful not to press to hard when you fold, you don't want too many creases. 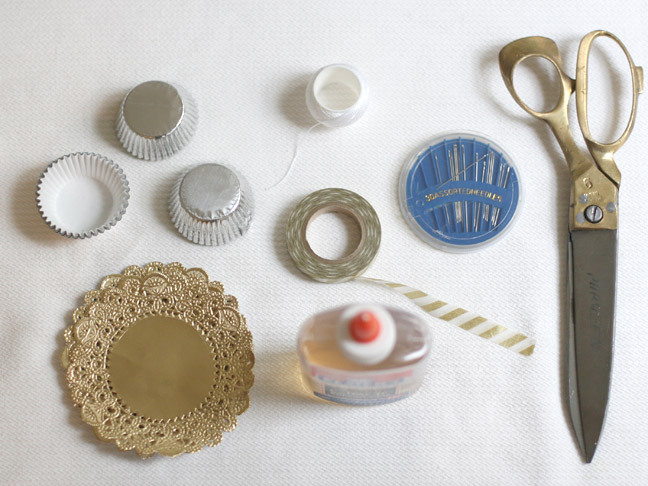 Now we'll make the last cupcake liner garland. 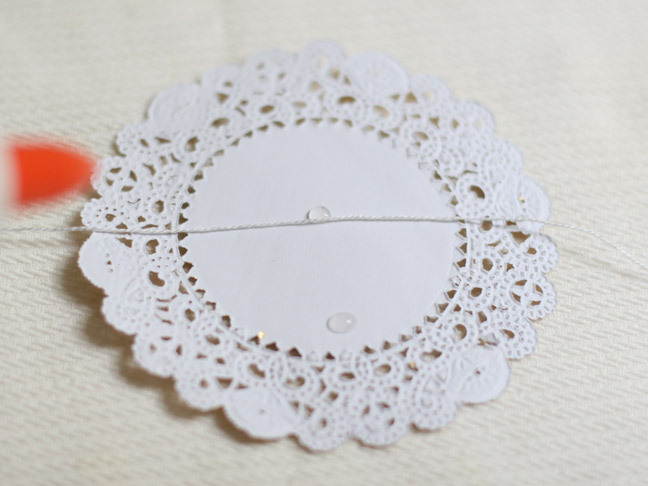 Thread an embroidery needle onto the string and poke it through your first liner. Continue threading liners on. 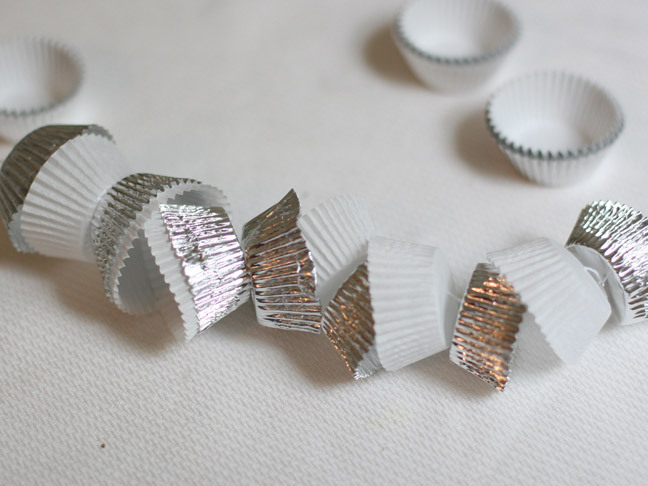 Most metallic cupcake sets alternate metallic and white. 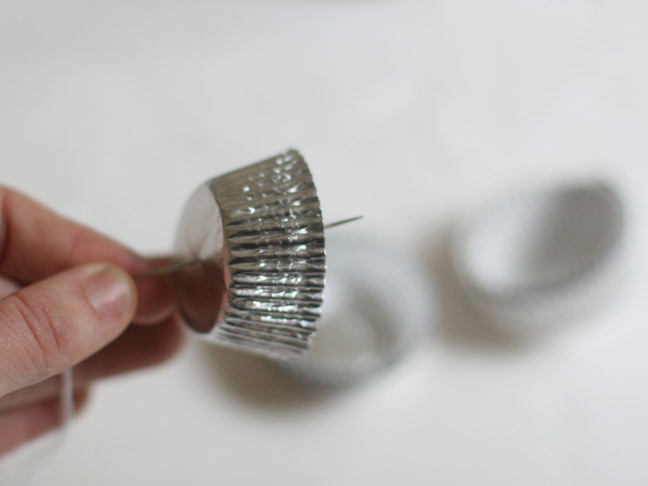 You can use both here, alternating the side you thread the liner so they face each other and create a nice shape together. 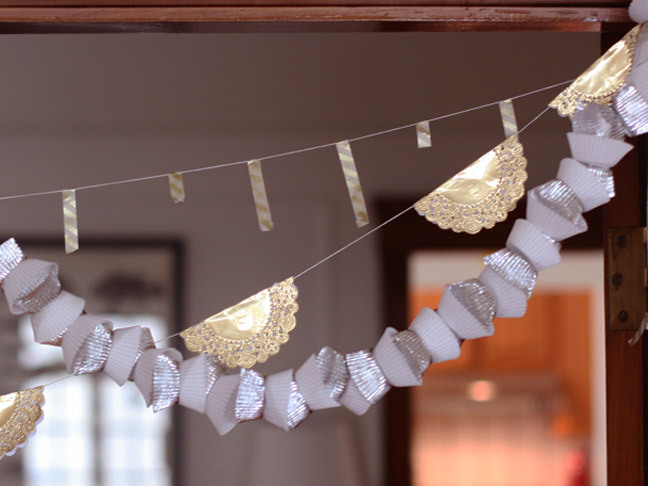 Hang your metallics garlands up along doorways, fireplaces or windows to add some festivity to your New Years!